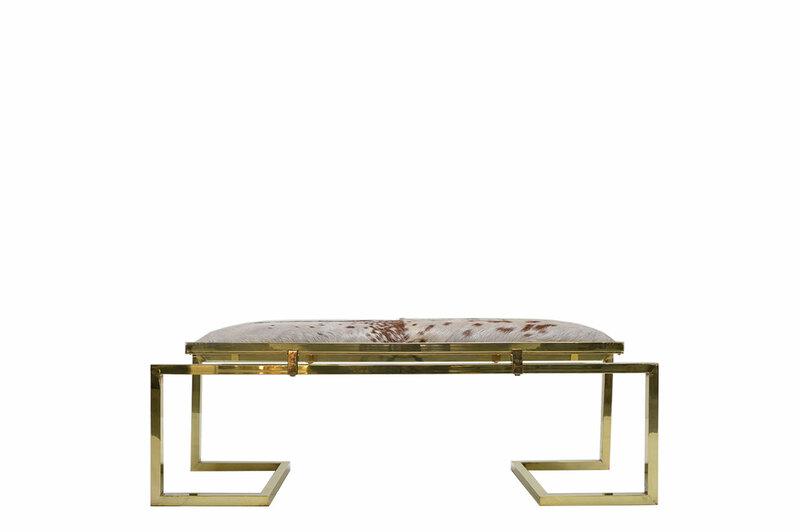 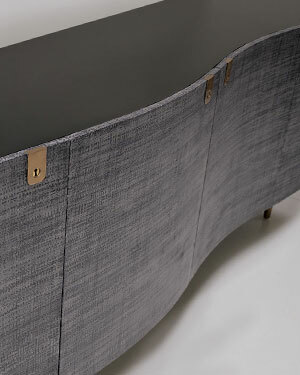 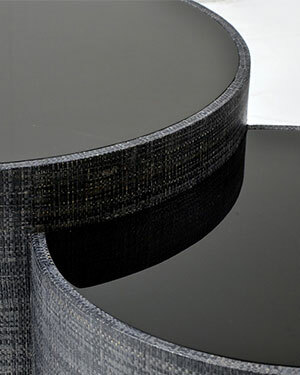 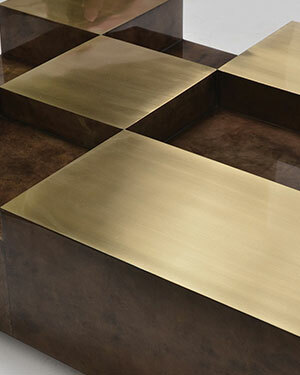 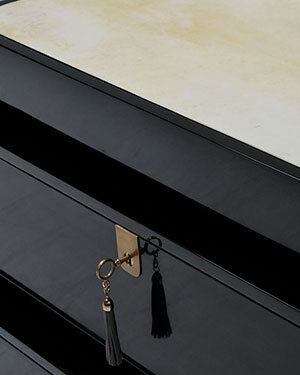 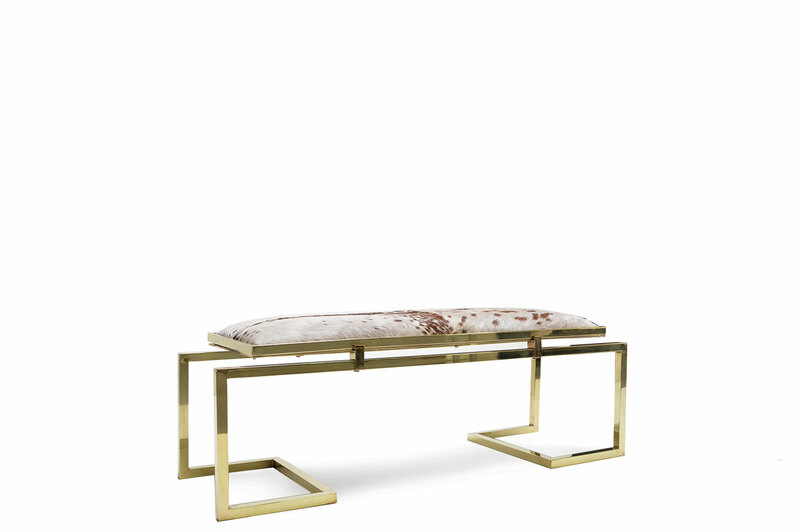 This elegant bench is hand made from brass with small clasp details. 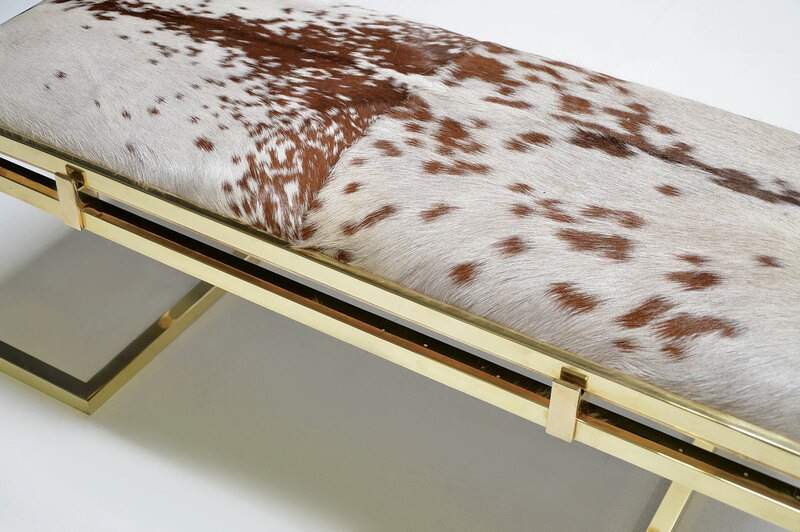 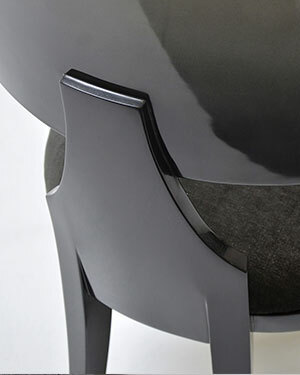 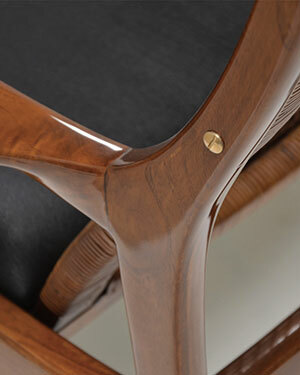 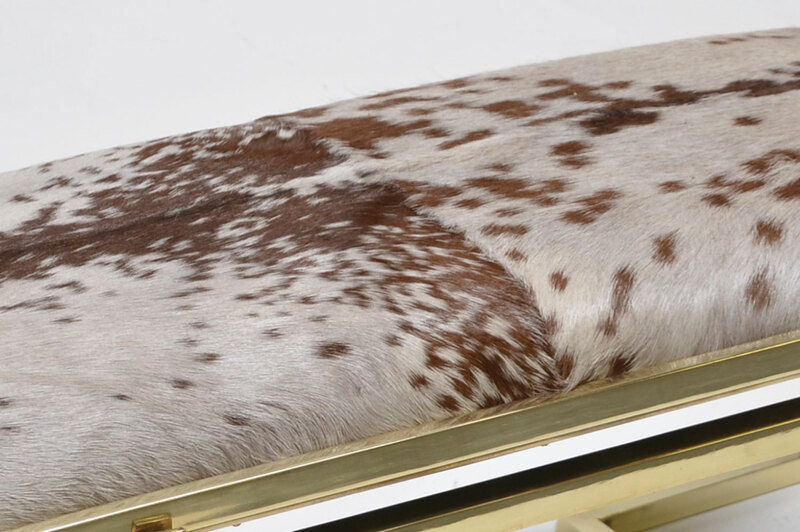 The upholstered goat hide seat provides a comfortable seating. 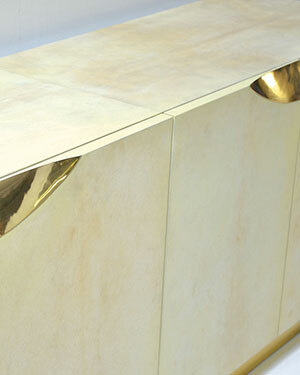 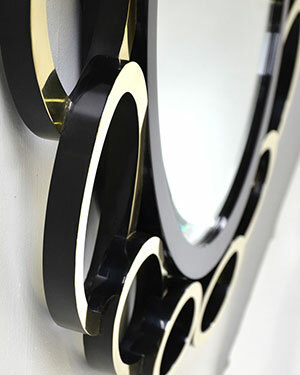 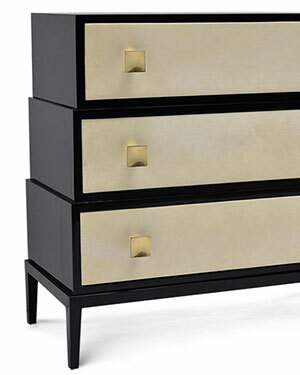 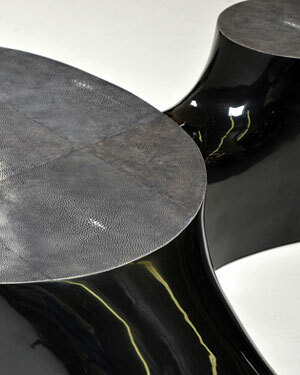 A special "Crystal Coating" which will prevent tarnishing and corrosion on brass can be applied.